Virgin Media doubles TiVo numbers; in talks with Lovefilm and Netflix | What Hi-Fi? Virgin Media has revealed that it's in talks with Lovefilm and Netflix to add streaming subscription movie services to its TiVo service. The service, which already offers on-demand programming and recommendations, could soon be adding a subscription movie service, too, reports Bloomberg. 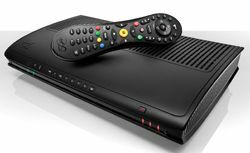 Virgin Media announced its first annual profit, of £75.9m, this morning, helped by a doubling in the number of customers with TiVo during Q4 of 2011. There are now 435,000 TiVo customers, representing 12% of Virgin Media's television users. The increase in TiVo users helped Virgin Media surpass 1 billion on-demand programme views in 2011, up 14% on the previous year. 133,000 new and existing customers also moved to the company's superfast broadband, helping overall revenue to increase 3% to £3.992 billion for 2011.